04 Sep 2018 --- Reusable packaging is a staple in many peoples day to day lives, from simple packed lunches in plastic containers to the water bottle that gets carted from the gym to home and back again. Pepsi's recent US$3.2 billion acquisition of SodaStream, a home carbonation product that can replace the repetitive purchase of bottles of sparkling water, does evidence a shift in thinking around reusing resources. However, amid the sustainability debate, there tends to be a stronger focus on recycle over reuse. Is it time for reusable packaging concepts to move into the mainstream? PackagingInsights takes a look at some innovative reusable concepts in the e-commerce, food delivery and personal care markets. According to data from the New Plastics Economy initiative (2017 report), at least 20 percent of the 78 million tons a year plastic packaging market is economically attractive for reusable packaging models. Of this, 20 percent relates to household cleaning and personal care bottles. Other opportunities for reusable packaging stem from carrier bags and beverage bottles. order sachets and just add tap water. “Just like consumers are adapting their behaviors in response to mounting environmental issues, we believe the packaging industry must similarly adapt. 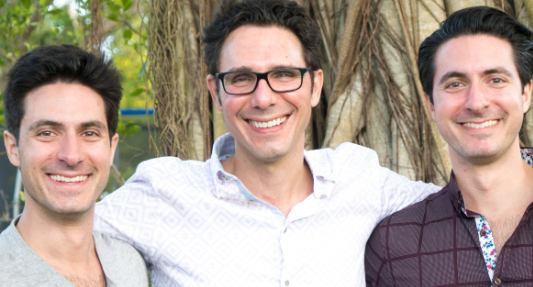 This is already happening throughout much of the packaging industry, but we believe the magnitude of our environmental challenges requires bold steps and more than just incremental changes, such as incorporating recycled plastics into bottles,” Nick Gunia, Co-founder of Cleanyst tells PackagingInsights. Cleanyst is capitalizing on statistics that place the personal care industry at the center of the plastic waste issue, by offering a reusable alternative. “Cleanyst is focused on unlocking opportunities for reusable packaging in the household and personal care sectors, which consume nearly four million tons of plastic packaging globally per year,” says Gunia. Cleanyst offers a platform for making cleaning and personal care products at home. 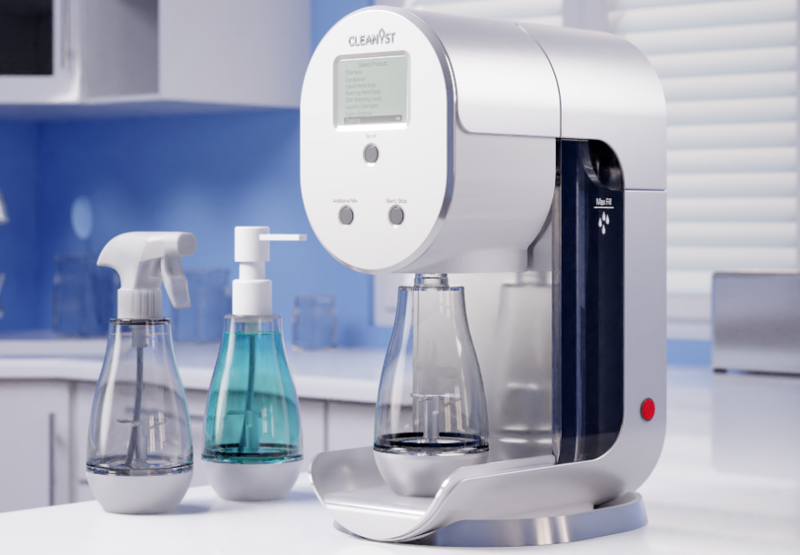 Customers only pay for active ingredients that they mix with tap water using Cleanyst’s patented appliance and reusable bottles: “We believe that packaging must evolve into more of a durable and reusable item than a consumable and disposable one. This evolution will create new opportunities, especially for more value-added products that are designed to last and better meet the shifting demands of the marketplace,” he adds. E-commerce is huge. Within the online groceries market alone, growth is expanding at a double-digit rate. However, the levels of waste in e-commerce packages remain large, and this coupled with extended fuel usage for personal deliveries makes it, arguably, a market with sustainability issues. Within the booming industry, only two percent of companies use reusable or returnable packaging models, according to Berbee. In this way, Berbee’s startup – RePack – offers an ideal reuse solution for the e-commerce market. 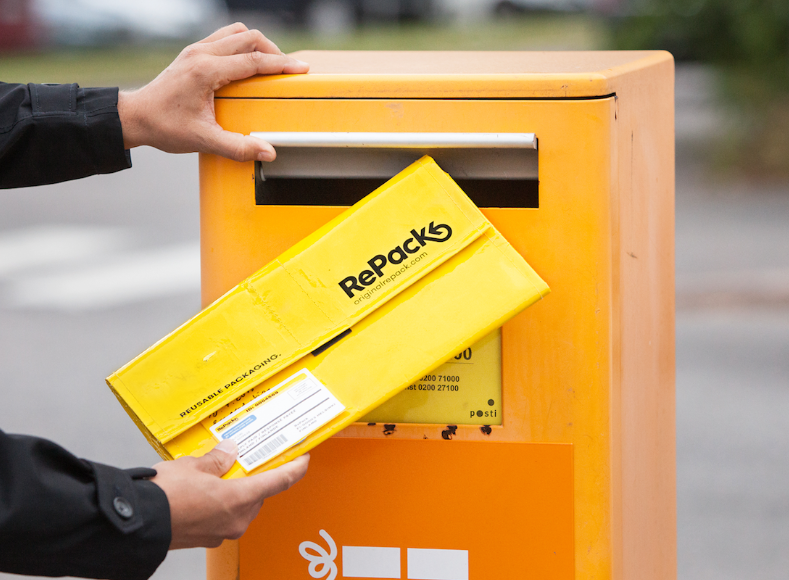 Finnish startup RePack is built around the bottle deposit system (DRS) used across Europe for plastic bottles. The DRS mandates that a refund is given when reusable packaging is returned, offering an incentive to consumers. “We sell reusable packaging to websites, the store ships it to the buyer and the consumer can drop the packaging in any postbox in the world and it will come back to us. 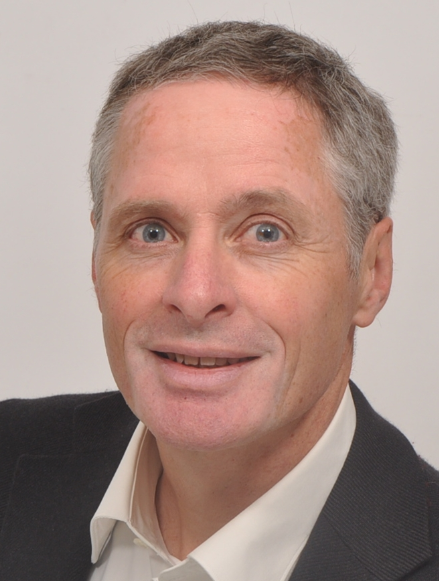 Circular in the literal and conceptual sense of the word,” Berbee tells PackagingInsights. This deposit-return scheme of sorts seems to be effective. Berbee estimates that the typical return rates vary from 50-90 percent, varying by webstore. Repack is mostly used for retail, but the business model hopes to expand into food and beverage e-commerce following some R&D adjustments to the material of the RePack package. Up-market meal-kit delivery companies have also utilized re-usable initiatives. Vericool – the producers of high-performing, cost-effective, compostable insulation and recyclable cold-chain packaging – supply a range of meal-kit delivery companies, offering a strong alternative to expanded polystyrene foam (EPS, commonly referred to as Styrofoam). Importantly, the Vericooler’s are as cost-effective as EPS. The Vericooler III is a molded-pulp cooler fitted with compostable, recyclable, starch-based insulation. The tongue-and-groove design of the molded container and lid reduces thermal loss at the edges of the container by 80 percent versus an RSC with insulated panels, meaning less coolant, even up to 50 percent, is required. Less coolant can also mean a lower-weight package. The Vericooler is not only curbside recyclable but reusable as a general cooler. The Vericooler is used by Raised Real and Square Baby, bringing a modern twist to the baby-nutrition and meal-kit delivery market. Both Gunia and Berbee state that consumers are increasingly taking sustainability into their own hands. “We believe that the plastic waste problem has reached a tipping point. Consumers are becoming aware of the magnitude of the problem, especially in our oceans, and are looking for ways to do something about it. We see heightened engagement and activism by consumers, and recent municipal bans on certain types of plastic packaging reflect this trend,” says Gunia. Such sentiments are particularly salient in the wake of China’s recent restrictions on the imports of waste and heightened media coverage of the issue. China’s waste import ban, which was announced in April, could see an estimated 11 million metric tons of waste displaced by 2030, according to researchers at the University of Georgia, US. “On a different note, consumers are also looking for ways to save money. 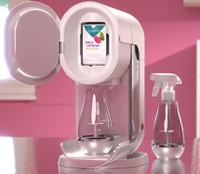 The SodaStream platform has been widely adopted in part because it helps consumers save money on carbonated beverages. Cleanyst offers a similar value proposition from the standpoint of saving money. With the Cleanyst platform, consumers would only pay for active ingredients (the water is added from the tap at home) and minimal disposable packaging, saving roughly them roughly 20 percent on their favorite types of home and body care products,” says Gunia. Reusable packaging also has strong potential in the B2B space. In most cases, re-useable or returnable packaging would be designed to be collapsible, in order to reduce costs for return shipments. “We see this not only in B2C but also in B2B, where the packaging lives in a closed loop system where plastic crates are used to bring fruit and vegetables, they go back empty and go back again to be washed,” Berbee adds. Indeed, many packaging experts would place the pervasiveness of our “throwaway culture” at the heart of the waste problem. R&D teams are increasingly putting plastic reduction and recyclability at the center of their missions. However, taking a solid look into the potential of reusable and returnable options, beyond coffee cups, could hold sustainability potential. In terms of large-scale applicability, Berbee believes that even the e-commerce giants, such as Amazon, could go from a linear to a circular process. Gunia is similarly positive, noting that the evolution of new opportunities that come from a strong pressure for sustainability may spur innovative solutions that evolve more and more into a durable and reusable item model.